Lunch at Cabbage Key then on to the beach. Our most popular tour stops for lunch at the famous Cabbage Key Inn. Built on a Calusa Indian Mound on a private island. The views from this historic Inn overlook Pine Island Sound and the Intercoastal Waterway. Then on to the island to explore nine miles of white sand beach on the Gulf Of Mexico. 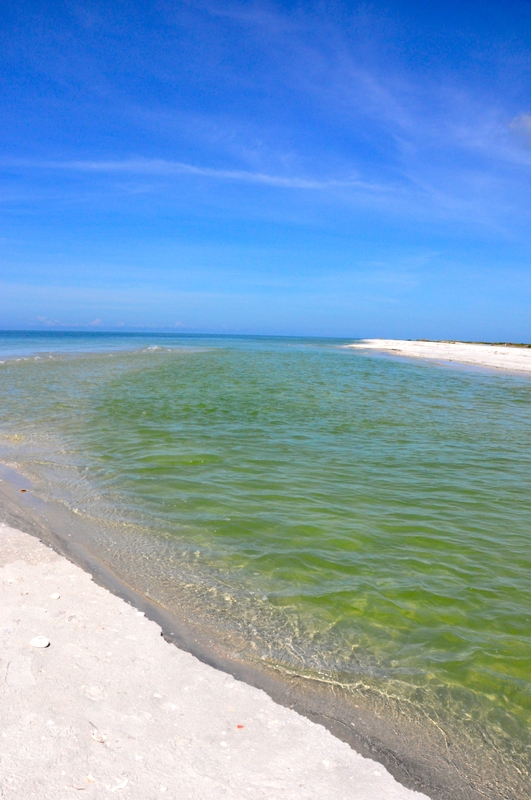 Swimming,fishing, kayak and bike rentals, nature trails,and excellent shelling. Restrooms and showers are available. You have to be to Jug Creek Marina by 9am on the day of departure we will depart at 9:30. We recommend bringing a small cooler with drinks and snacks for your ride on the boat and your stay at Cayo Costa after lunch. You can also bring beach chairs and umbrellas. Anything you bring with you can stay on the boat while you're having lunch at Cabbage Key the boat anchors off and the crew has lunch also. We will get back to Cayo Costa at approximately 1pm and there you can board a tram that will take you around to the gulf side. You will have from 1-3pm at the beach and you will need to catch the 3:00 tram back to the boat dock. We start boarding at 3pm and depart at 3:30 you will get back to the marina at approximately 4:30.